FOX’s return to The X-Files has turned out (not unexpectedly) to be a huge hit for the network. The ratings that the series has pulled in have been a big boon to FOX’s lineup. But, unfortunately for FOX, the show was a limited event series, and only has one episode of the six that were shot, left to air. And, now we know for certain that at least one FOX bigwig would love to have the show back again at some point. We said before it aired that we would love to do more, and we are over the moon with the performance. So far, the response has been really encouraging. We haven’t talked to the talent yet about Season 2 in any more definitive way than we had prior to airing the show, but certainly, it seems like there’s an audience responding to the show that would love to see more episodes. 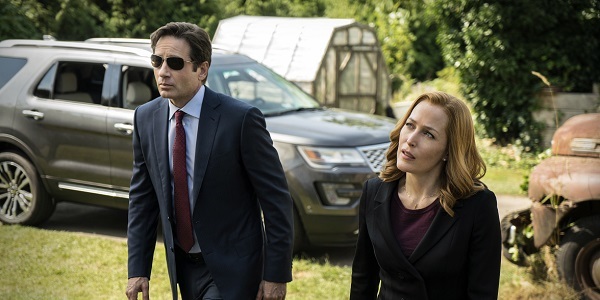 FOX entertainment president David Madden spoke to Variety earlier in The X-Files season, and revealed that he would, indeed, like to see the show continue, even if only by way of another short event series. It also looks like FOX executives were anticipating that the return of the popular 1990s and early 2000s show would spur the network to ratings heights, seeing as how they seemed to discuss continuing the revival in passing to the key players. The ratings for The X-Files have been notable. The two-night premiere was shown on FOX stations in 80 countries, and was viewed internationally by over 50 million people, and the numbers have remained steady throughout the run. Across the five episodes that have aired so far, the show is averaging almost 10 million viewers. The show has also gained in delayed viewing, with streaming platforms FOX Now and Hulu showing big numbers for The X-Files as well. So, why can’t this just happen, already? What’s stopping FOX from giving the greenlight to a second super-mini rebooted season? Well, as was the case for this current iteration of the program, the biggest hurdle is getting everyone’s schedules to line up so that another go round is possible. Also, star Gillian Anderson has been vocal about not wanting to uproot her life in London, where she’s lived for many years and has a family that includes three children. Anderson’s co-star, David Duchovny, has also mentioned that the idea of doing a full 22-episode season simply would not be feasible for him either at this point in his life. Well, I think most fans would agree that whatever happens after The X-Files wraps up its limited run this coming Monday, it was good to see Mulder and Scully again. Even if it just leaves us wanting more…again.